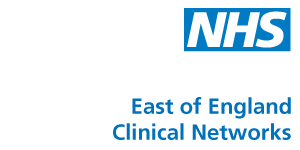 The East of England Clinical Networks work to enable and facilitate whole system improvements and patient outcomes, supporting, influencing and working alongside commissioners and other stakeholders. Find out more about the ast of England Clinical Networks at www.eoescn.nhs.uk and follow them on Twitter @eoescn. Strategic work is required to understand the current rates of diagnosis and consider the reasons behind variation and different levels of diagnosis. This will also provide the opportunity to consider the benefits and lessons from increased awareness and increased numbers of people becoming known to services, inform planning processes, supportive actions and tools, and enable service and quality improvements. Service users and representative groups consistently confirm that post diagnostic support remains the biggest gap in service provision, and therefore the biggest opportunity for improvement, and the SCN is actively engaged with all stakeholders to support and enable improvement for people with dementia in the East of England. Improving dementia services is a positive commissioning story, but further work is required on the tools, approaches, and support that are necessary to fulfil the potential within dementia commissioning, and provide service users with the confidence that they will be able to live well with dementia. The main body supported by the East of England Strategic Clinical Network in dementia is the Strategic Dementia Advisory Group for the East of England (SDAG). This provides a fully integrated and expert body for advice, transformation and dialogue between partners in dementia care across the region. Our priorities for 2014-2016 are dementia diagnosis rates and post-diagnostic support. We are committed to proactive and effective co-production of our work, in collaboration with service users, carers and their representatives. Top ten neurological spends within the East of England – this report provides a data analysis of the top ten neurological spends within the East of England. It emphasises emerging priorities and areas that should be considered by commissioners of neurology services. Epilepsy Event Evaluation Report 26th June 2014 – this report provides an evaluation of a regional event to raise the profile of epilepsy and identify ways to improve the care of patients with epilepsy within the East of England. Find out more about the East of England SCN at www.eoescn.nhs.uk and follow them on Twitter @eoescn.